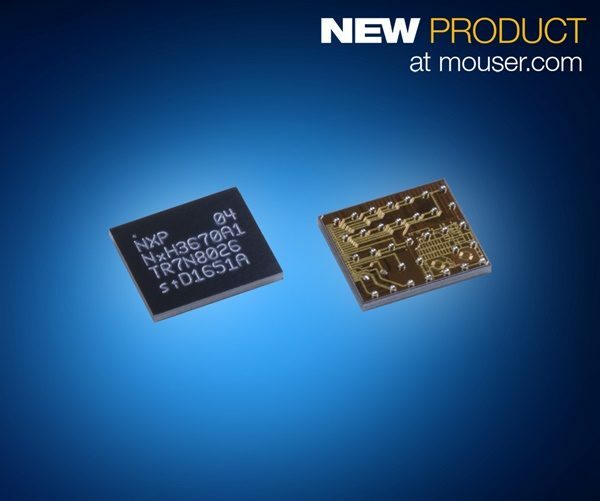 Mouser Electronics, Inc., the New Product Introduction (NPI) leader empowering innovation, is now stocking the NXH3670 wireless gaming headphone solution from NXP® Semiconductors. The ultra-low-power single-chip device is a 2.4 GHz wireless transceiver with an embedded microcontroller and a proprietary audio streaming protocol to create a solution for gaming headset applications. The NXH3670 is Bluetooth Low Energy 4.2 certified and supports applications that require low-latency audio streaming. The NXP NXH3670 wireless gaming headphone solution, available from Mouser Electronics, integrates an Arm® Cortex®-M0 microcontroller with NXP’s CoolFlux® digital signal processor (DSP) core and hardware accelerators to support audio processing for streaming performance. Ideal for applications requiring reduced battery size and extended performance time, the device boasts industry-low power consumption of just 8.5 mW during audio streaming. The NXH3670 runs a proprietary audio streaming protocol optimized for gaming headset applications to provide high-quality forward audio streaming at low latency of less than 20 ms. The devices also supports a simultaneous 16 kHz microphone backchannel and a bidirectional wireless data channel.